Home best places to visit in Bhutan Bhutan Bhutan tour itinerary tour travel travel diaries trip BHUTAN: The Land of Thunder Dragon and HAPPINESS. 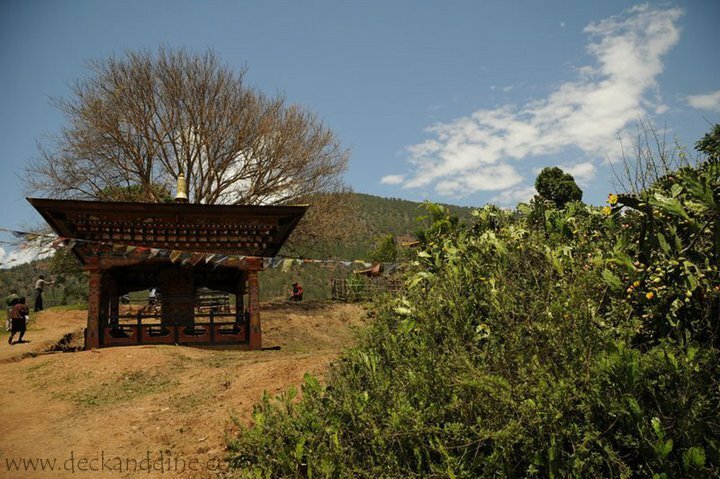 BHUTAN: The Land of Thunder Dragon and HAPPINESS. Sandwiched between the two giants, India and Tibet, Bhutan is said to be the land that has remained in mystic isolation for centuries. 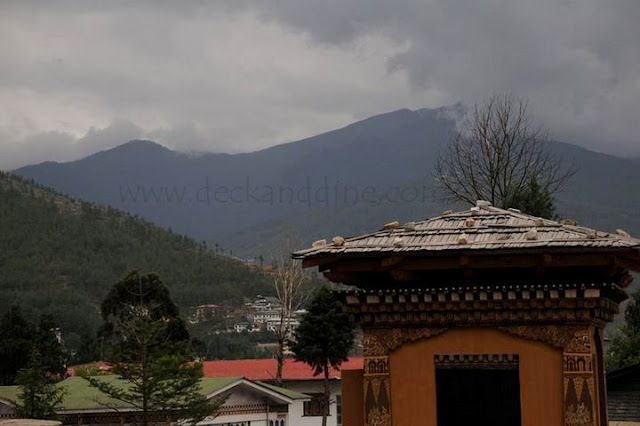 Known to the world by several names, Bhutan has still remained untouched by Western affluence. Hidden deep in the great Himalayan Mountains, the Bhutanese have treasured their natural environment as it is seen as the source of all life and the abode of the gods and spirits. My love affair with Bhutan is not a new one. I have a Bhutanese friend from school days who often invited me to Bhutan. And finally we visited this mythical land last year. Bhutan is one of the most beautiful places that I have ever been to; the people are warm, friendly and helpful. To me Bhutan was love at first sight. If happiness was a place - Bhutan would definitely be the heart of it . .
Taj Tashi. 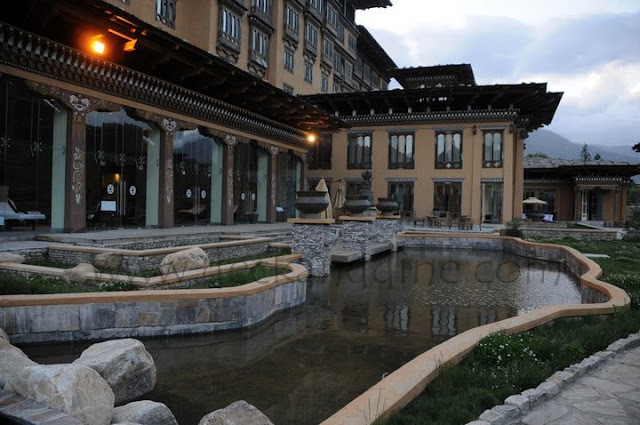 It is the first Five Star Hotel in Bhutan and it screams mysticism and magic from every nook. The hotel is a perfect blend of elaborate Bhutanese architecture and modern designs and amenities. Wooden décor, murals and mosaic and that sumptuous views of the mountains that surround the valley will leave you with a feeling of contentment. The bubbling Jacuzzi is so refreshing. 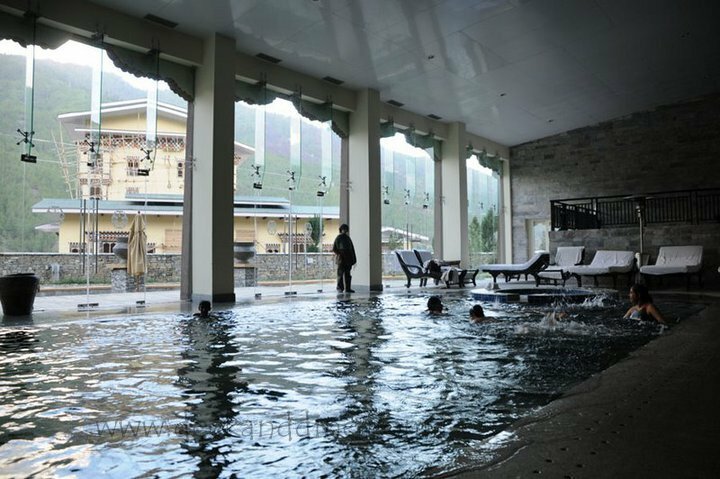 In a cold winter day, getting into this hot water pool amidst scenic mountains is an absolute blessing. 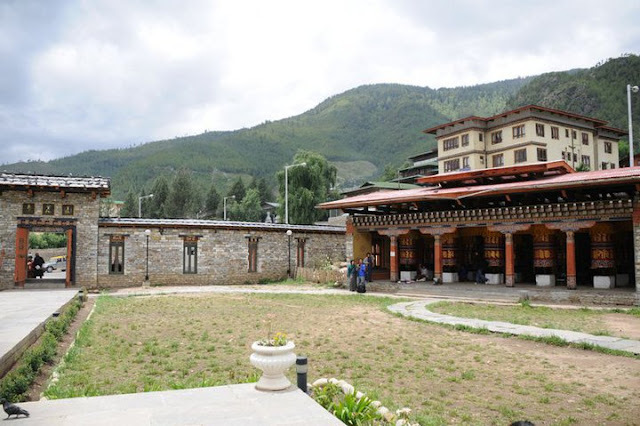 Thimpu is the capital of this fascinating country. A large gate and a Stupa welcomes you to this place. Buddhism dominated Thimpu is not a typical capital city. An easy paced tour on the lanes of Thimpu is enough to get under the surface of Bhutanese culture. I spent 7 days in Bhutan, and it included travelling to the interior along the remote and isolated Phobjika valley to villages swarmed with century-old fortresses that have survived the ravages of Nature and man. We also were lucky enough to witness the festivals that celebrate the ever so vibrant Bhutananese culture. So now the best places to visit in Bhutan..
PARO TAKTSANG:- Also known as the “Tiger nest” and it hangs on a cliff at 3,120m. 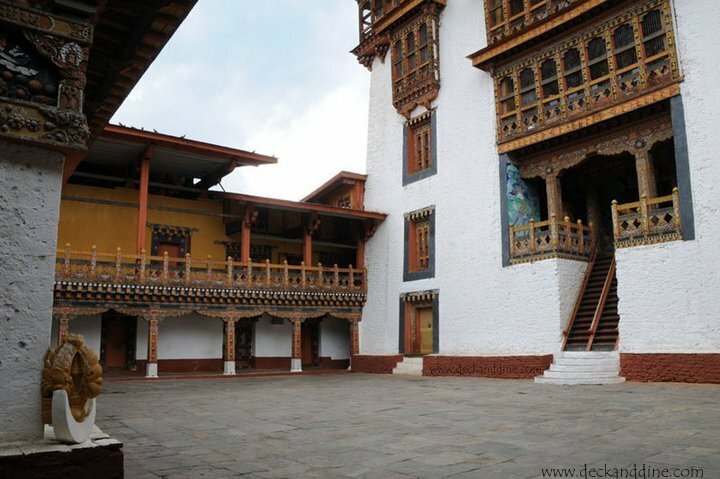 THIMPHU TASHICHHO DZONG:- Tashichhoedzong is a Buddhist monastery and fortress on the northern edge of the city of Thimpu in Bhutan, on the western bank of the Wang Chu. Motithang Takin Preserv:Located in the Motithang district of Thimphu, Bhutan is a wildlife reserve area for Takin, the national animal of Bhutan. Buddha Point:-The largest statue of Buddha in the country sits here. The 51.5 meter bronze statue is three storied with several chapels. The body of Buddha is further filled with 125000 smaller statues of Buddha. The view of Thimpu valley from this point is spell-binding. 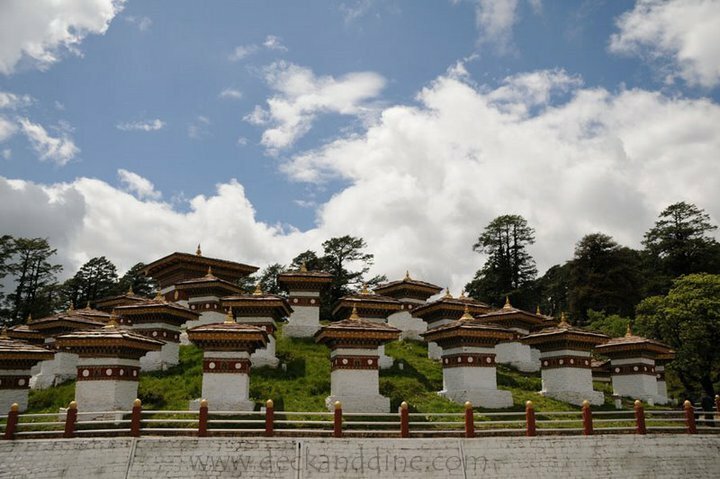 DOCHULA Pass:- There are 108 memorial chortens or Buddhist stupas which were built as a memorial in honour of the Bhutanese soldiers who were killed in the December 2003 battle against Assamese insurgents from India. CHIMI LHAKHANG (Fertility Temple): Women come to this monastery seeking blessing of motherhood and sometimes to get the name of the newborn child. 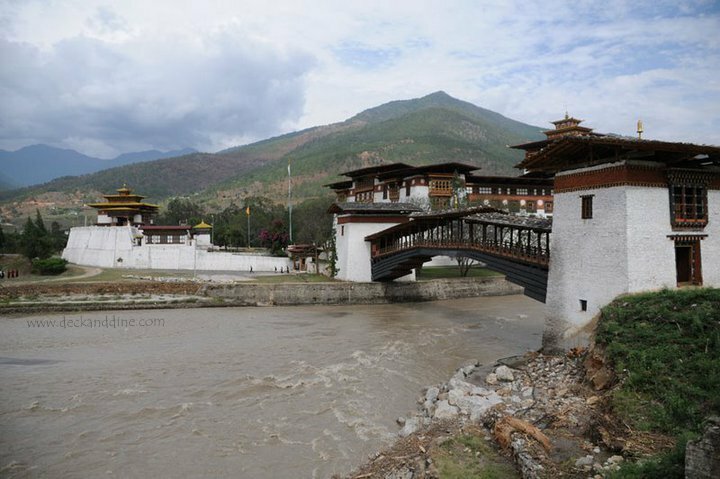 PUNAKHA DZONG:- Punakha was the first capital of Bhutan and the country’s first king was crowned here in 1907. Pristine environment and colorful architecture are characteristic features of this place. PUNAKA SUSPENSE BRIDGE:- It is a crazy swinging bridge. It sways insanely and is pretty thrilling. Not for the faint-hearted. NATIONAL MUSEUM:- A great place to see Bhutan's history as well as their native style of architecture. This place offers fabulous views of the city of Paro. Gangtay-Phobjikha Valley:- The trek is very scenic with the sound of the waterfall breaking the silence. Green moss hanging down the blue pine trees, black butterflies enjoy the freshness of the waterfall and colorful prayer flags dancing in the breeze; endangered bird the black-necked cranes can also be seen here once a year. Jomolhari:- What would be more amazing then the place with white peaks, blue sky and a crystal lake!! You need special permission to go there. Sharing a few more pictures from the trip. Because any picture from Bhutan is a good picture to brighten up a lousy day. Miss the tranquility and serenity in the Land Of Happiness. Bhutan is bestowed with unique cultural and traditional values. The sovereignty and the identity of the country is preserved and reined over by the great Wangchuck Dynasty. The Buddhist Himalayan nation is the land of mystical myths and the Land of the greatest & the powerful warriors defending and defeating their enemies. Land of unique architecture, vibrant culture, festivals, belief and devotion, exotic flora and fauna, pristine environment and colourful textiles; Bhutan is indeed the land of happiness and blissful people. If I could repeat any of my travels, it would be Bhutan. You can book your International Flights tickets from Yatra. 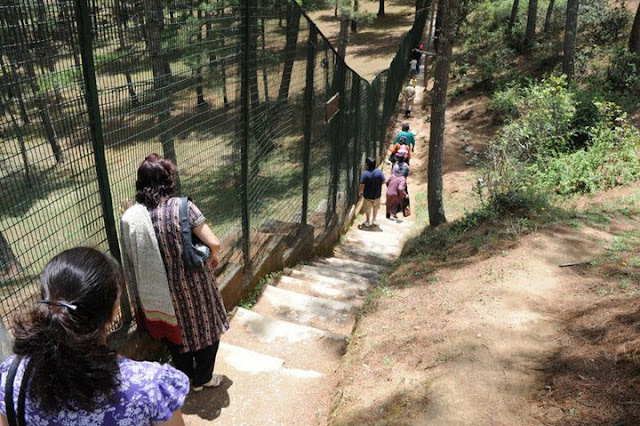 And before that you can even have a look at their amazing Bhutan holiday packages. Click HERE to view them. P.C. 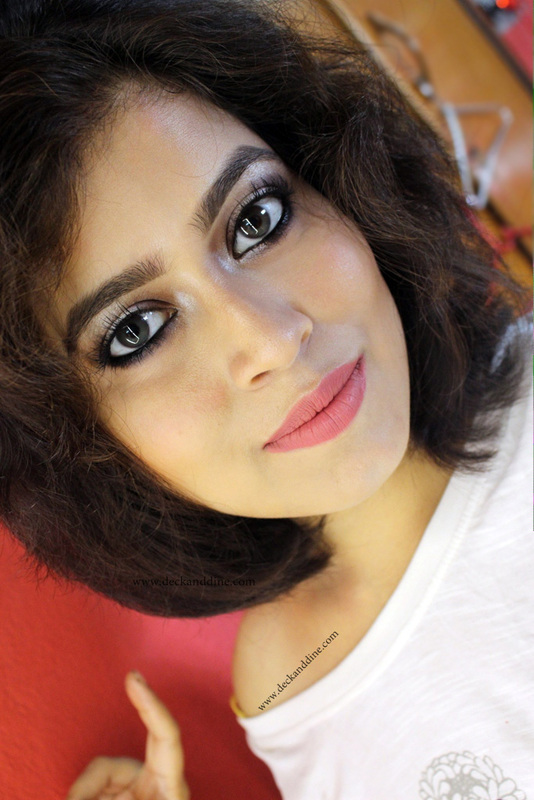 Sagnik Gangopadhyay, Madhubani Chakraborty. Please DO NOT use our photographs without permission. Wow!! Its supernatural!! Its in my wish list too now. Informative post ! Never knew this much about Bhutan ! Thanks for sharing! Woww.Such a beautiful place. This goes into my wishlist now. I have seen these beautiful places through your eyes.